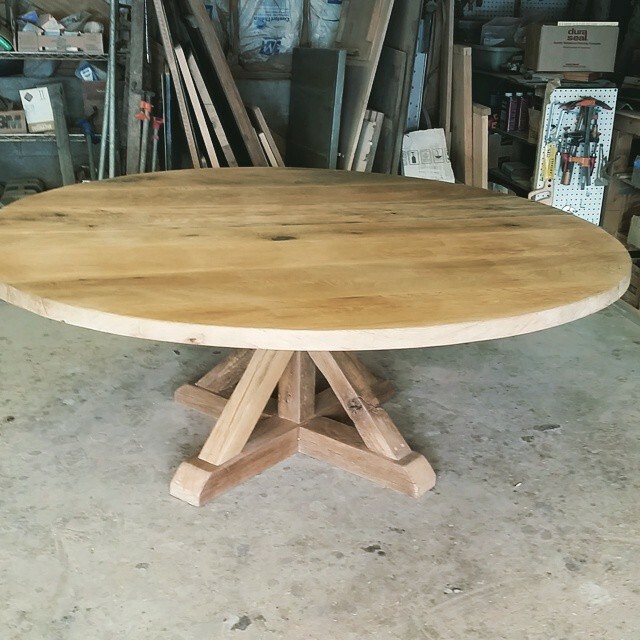 48" round white oak with simple pedestal base. 60" round sugar maple top. 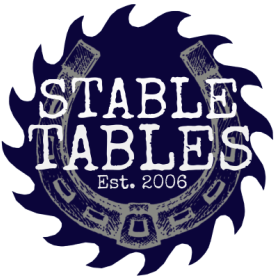 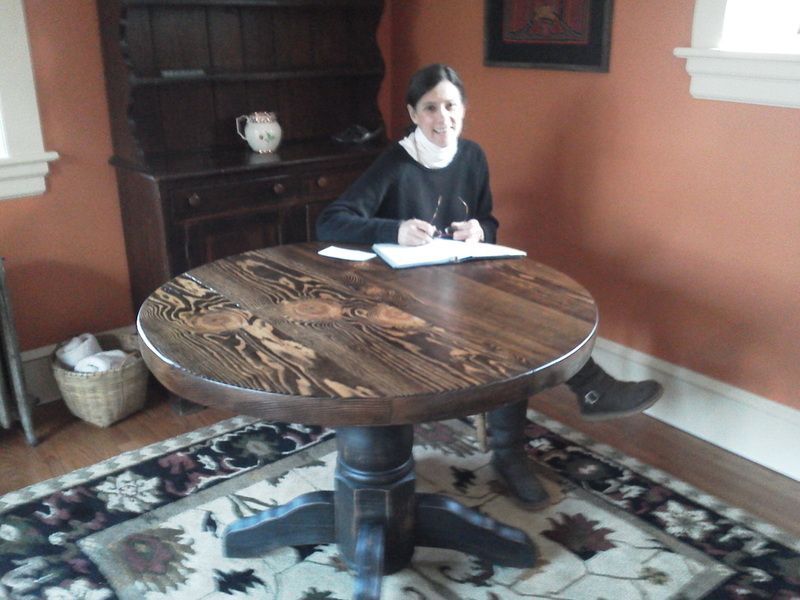 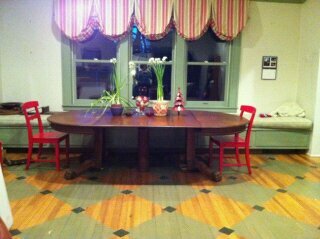 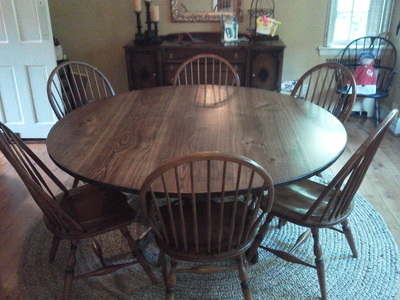 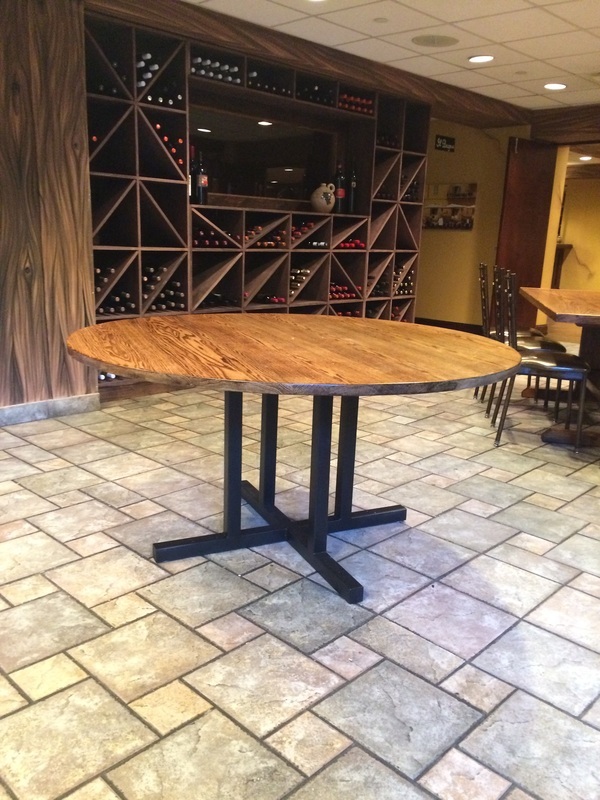 Rustic oak farm table made for the wine cellar at From the Boot in Ambler. 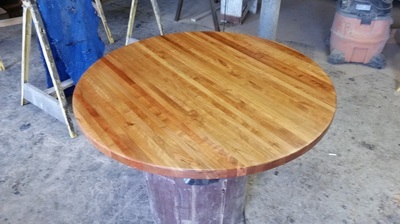 72" round walnut top on chrome band base. 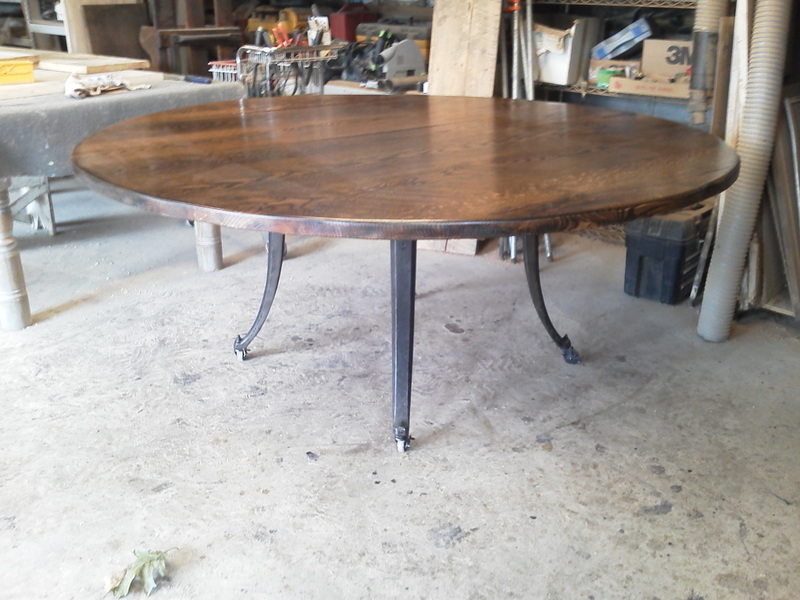 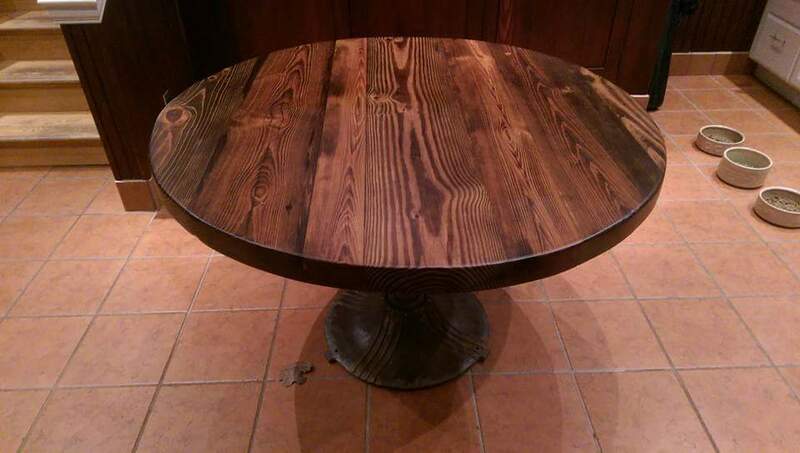 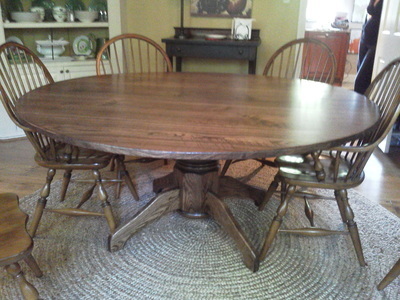 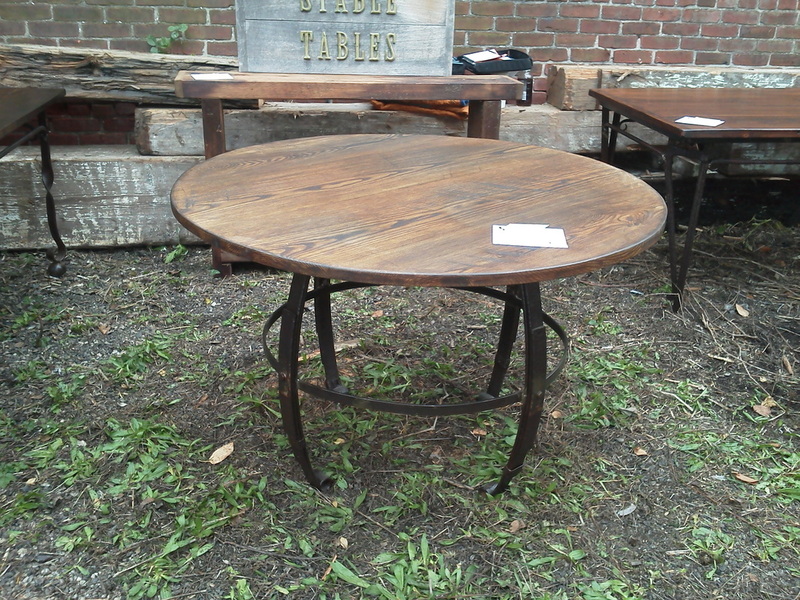 Reclaimed round oak top with base made from old leaf springs. 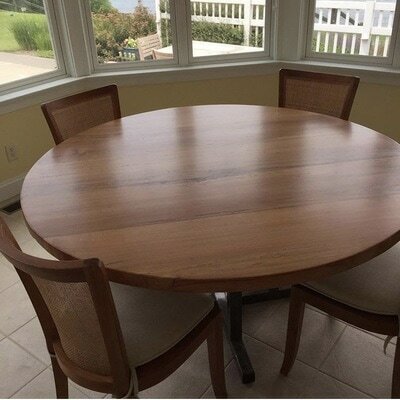 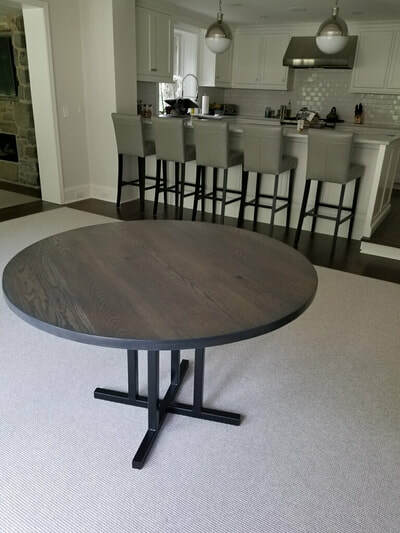 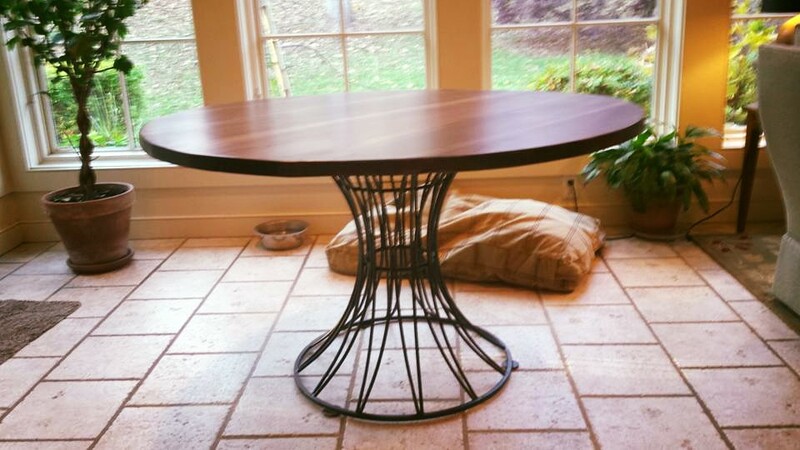 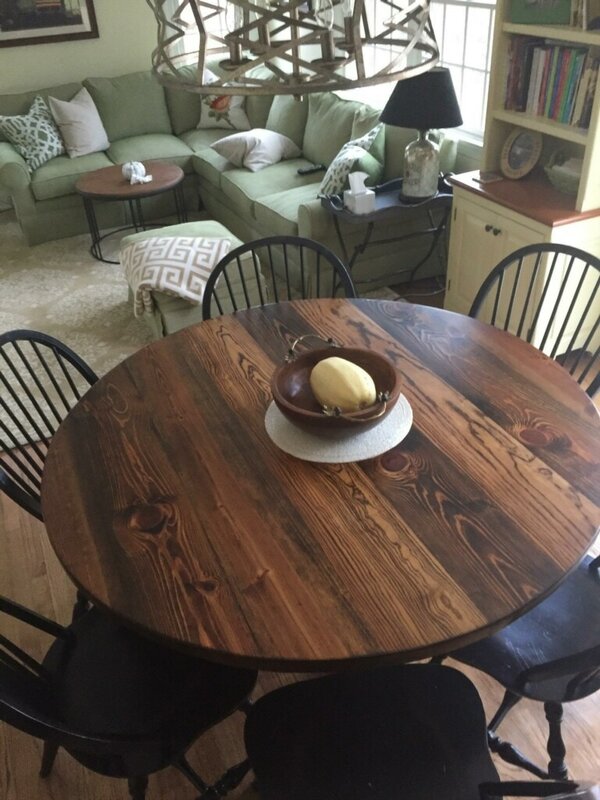 51" round walnut with metal base. 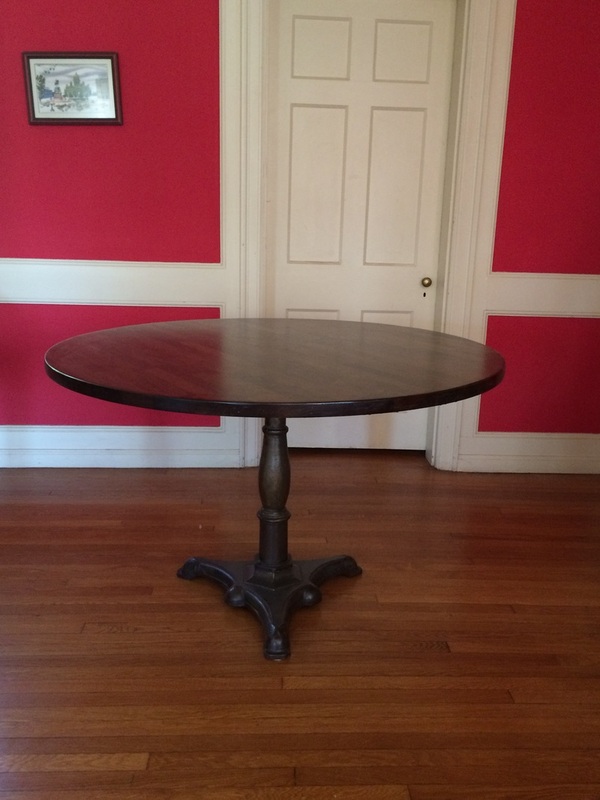 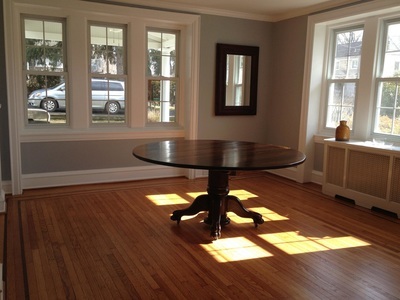 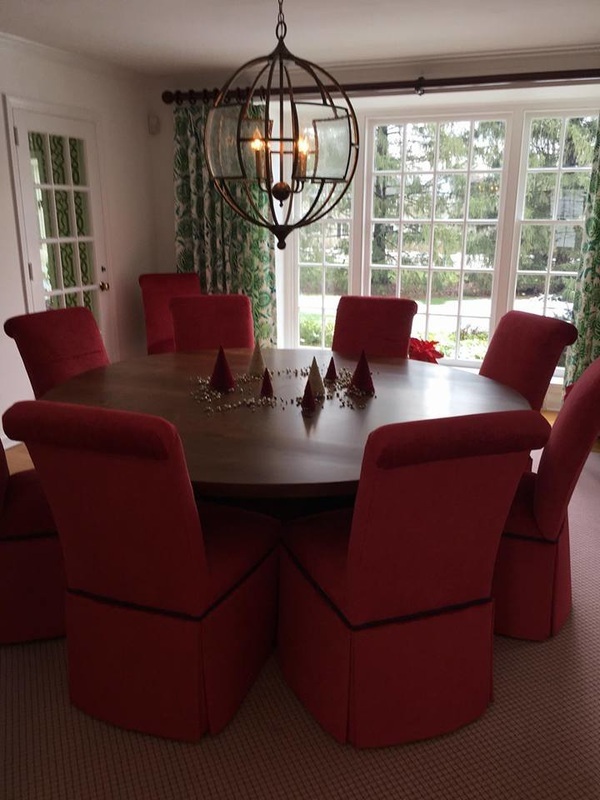 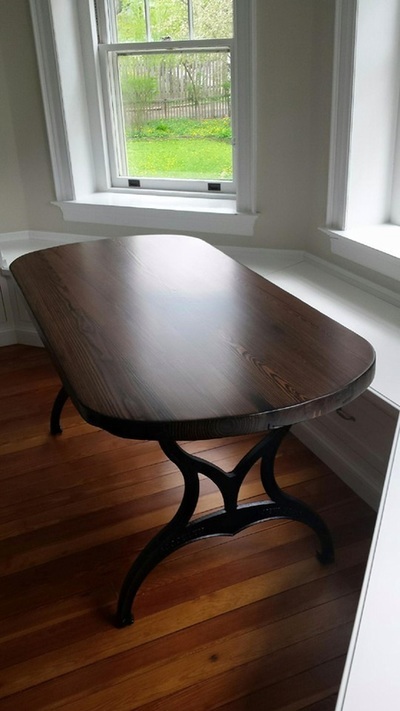 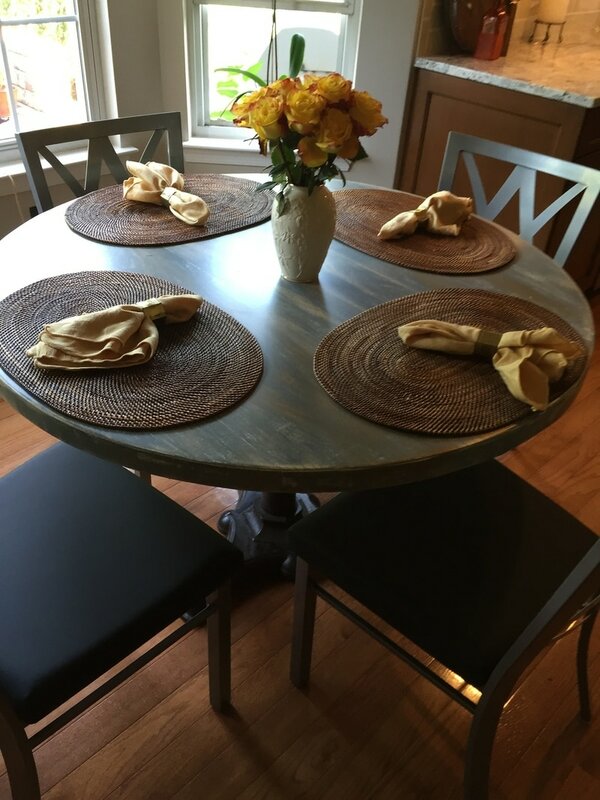 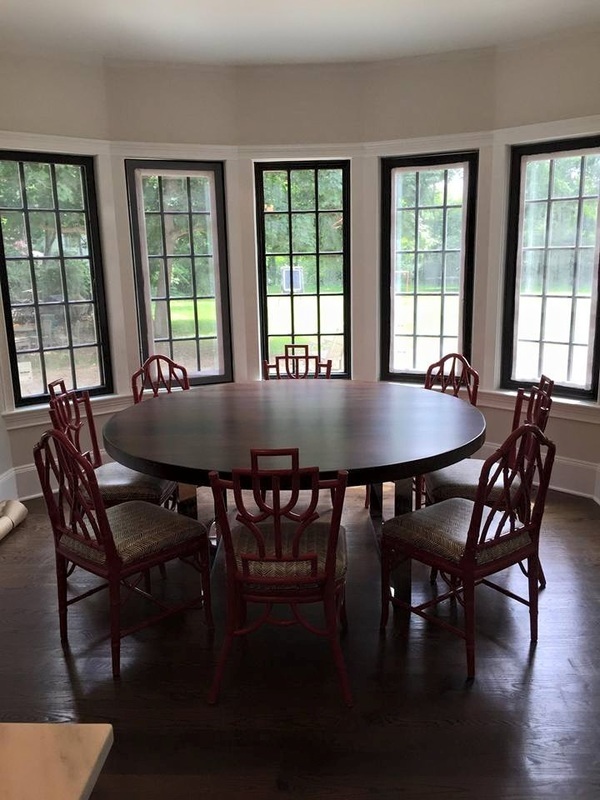 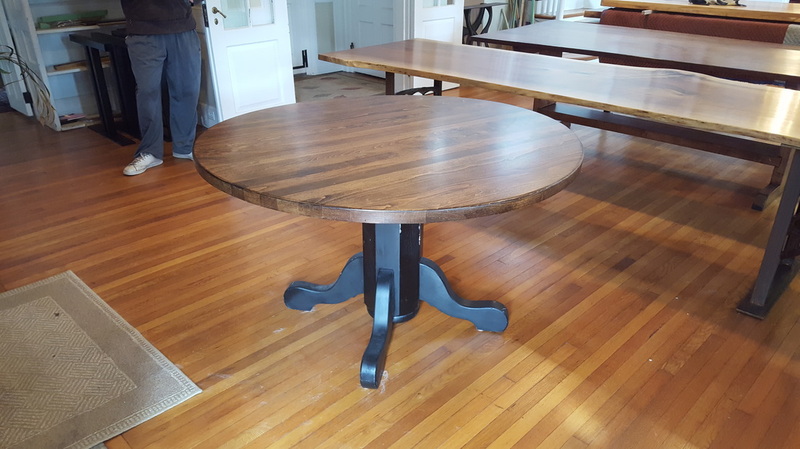 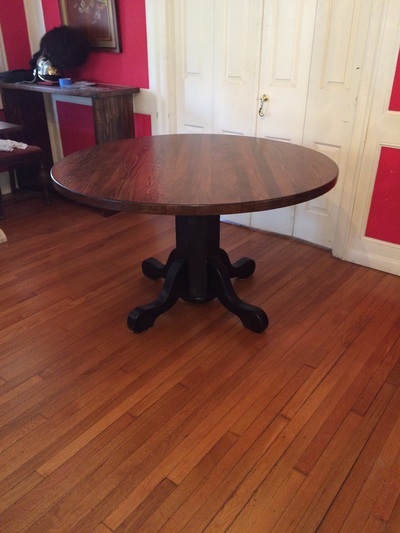 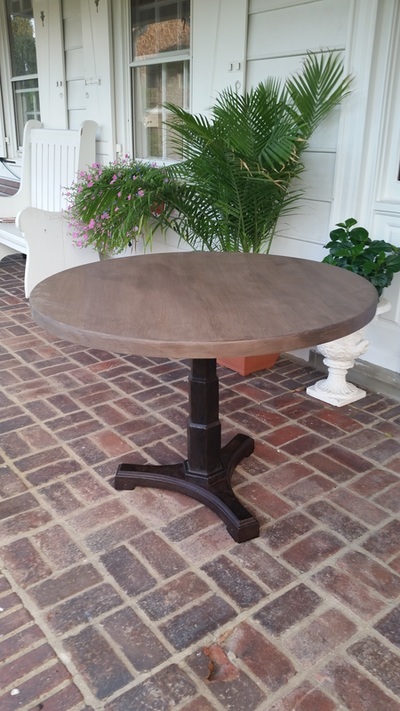 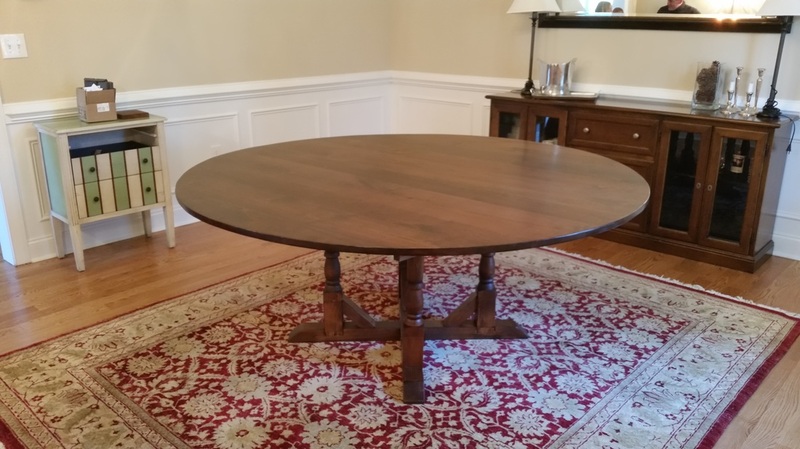 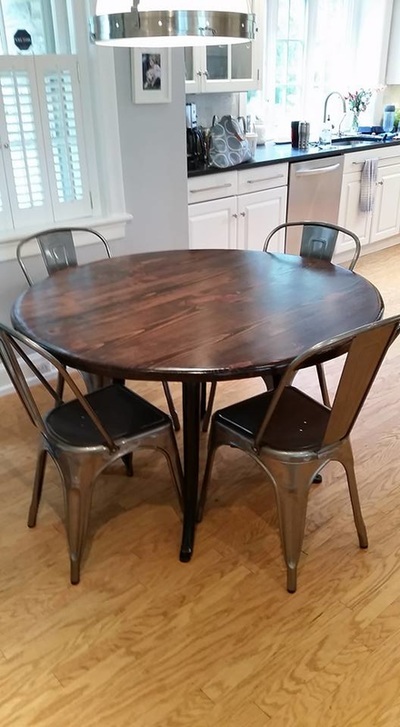 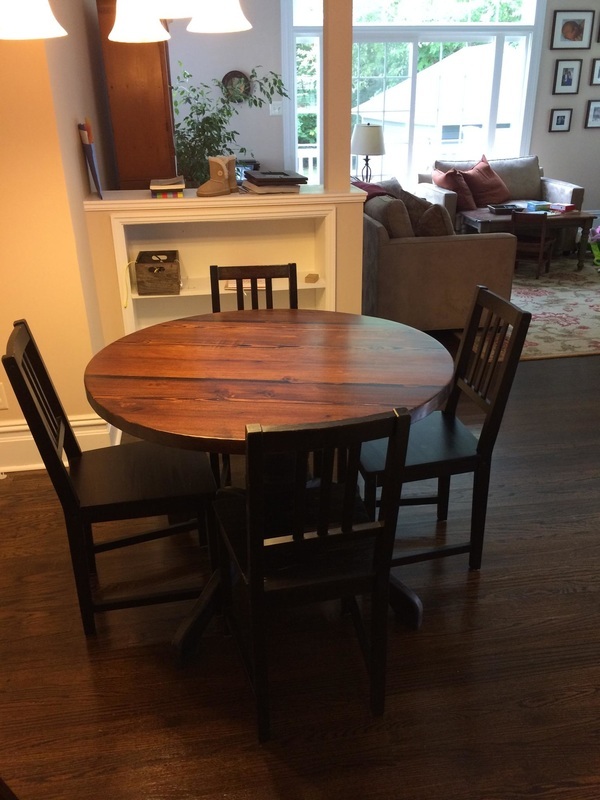 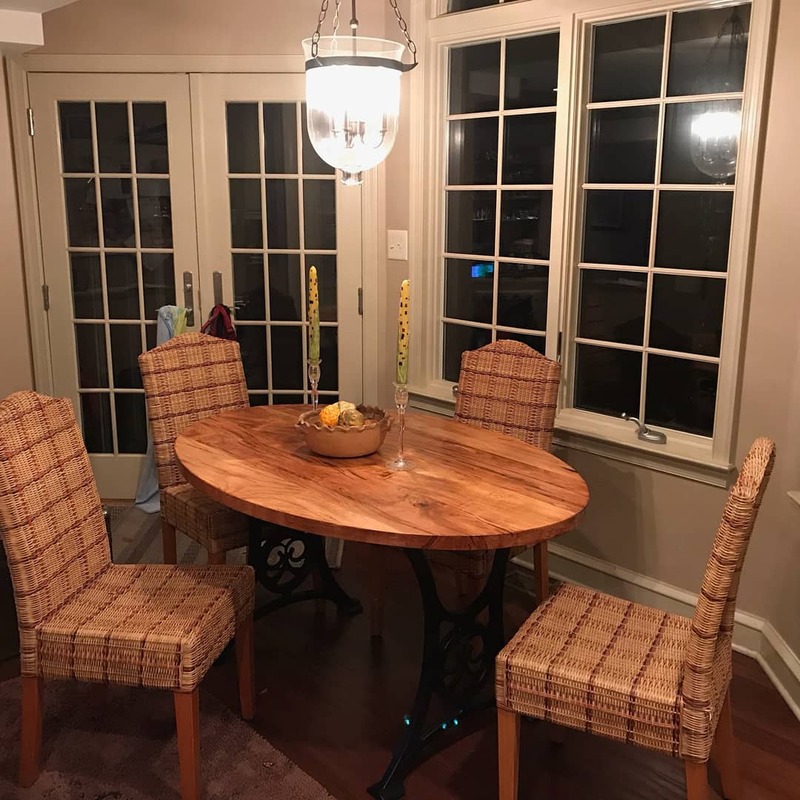 Eliptical-shaped table made from reclaimed floor joists with cast iron base for banquet. 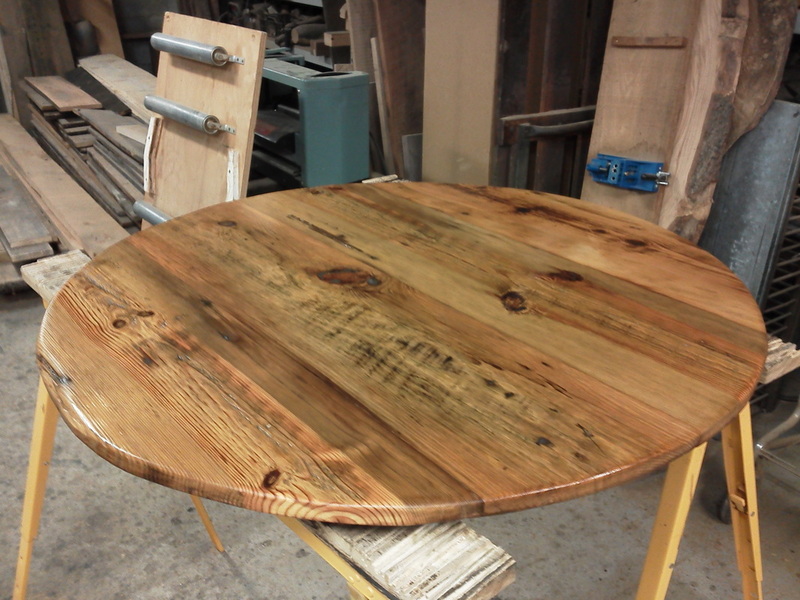 Reclaimed old growth pine on industrial knitting base.